Marble countertops are beautiful, but they tend to lose some of that beauty when they are burned. Cigars, cigarettes, hairdryers left on, and curling iron are all culprits in the marble countertop burning suspect list here in the Nashville area. Read this article to find out how to repair a burn in a marble countertop yourself, or know when to call in an expert. Use a soft brush, an old toothbrush works in a pinch, and a mold or mildew remover to remove some of the discoloration caused by the burn. As you should know, marble countertops and bleach do not mix. Most mold or mildew removers found in stores around Nashville will not have enough bleach in them to do any damage, but enough to work on the color in the burn. Be sure that you’re using a low bleach mold or mildew remover before proceeding. Start out with mixture that is almost all water. Gradually increased the bleach content until you start to notice the color of the burn disappearing. Do not start out with lots of bleach and a little water, etching will occur and you’ll still have a burn mark. Etch remover paste is specially made for polishing marble, and can bring some of the shine back to your marble countertop after using any of the above steps. It will never be like new again, but it can make it unnoticeable to all but your most nosey guests. The etch remover paste may even help further break down the colors from the burn. Look for it in most hardware stores around Nashville. Sandpaper is very aggressive, and can damage your marble countertop worse than the burn. For those with a honed finish, this may not be a big deal as all it will do is take the shine away. Honed finishes don’t have this shine. Start your sanding with an 800 grit and work your way to coarser grades if the 800 doesn’t work. All of the DIY options above are nice if you’re confident in your ability to do them. 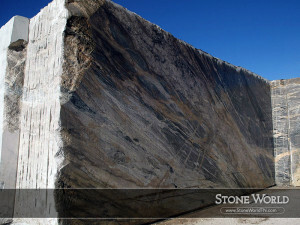 For everyone else, try contacting the team here at Stone World, serving the Nashville area. 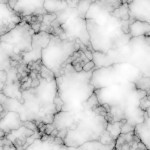 A picture sent to them can help sort out your marble countertop burn, with either a DIY or professional option, and help it look great again. 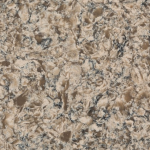 Choosing the right bathroom countertop colors for your home in the Mt. Juliet, Tennessee area can make all the difference in defining the space, and making it feel like an inviting room. This article will look at how bathroom countertop color selections can change a room, and which work best in which type of space. Choosing dark colors for your bathroom countertop helps to define the space. Where all light colors will make the space feel undefined, dark bathroom countertops can help give the space structure. Dark bathroom countertops are well used with contrasting cabinets or floors to further accentuate the defining of spaces. A dark grey or black bathroom countertop with white floors and pale blue cabinets clearly define each space of the room and give it weight. The same as dark bathroom countertops help define a room, lightly colored ones can help open up a space by not defining it further than the close walls already do. 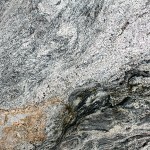 Lightly colored granite in a beige color works with nearly any design scheme. Be careful not to go monotone as you try to go with everything lightly colored. In the case of a small bathroom you may want to go with slightly different shades of blue for the walls than the cabinets, or use a granite with light gray flecks in it to match different shades of gray on the walls, floor, and cabinets. Yellow and cream are two other popular combinations with a beige bathroom countertop in a small bathroom. Busily patterned bathroom countertops look awful when they’re filled with lots of decorations. The two work against one another and you’re better off having a plain bathroom countertop and letting your decorations stand out. For those with few decorating needs in the Mt. Juliet area, you can use a very well patterned bathroom countertop and have it be all the decoration you need. Which bathroom countertop colors will work best for your home in the Mt. Juliet area? Getting the right bathroom countertop colors is essential as they set the mood for the rest of the design to follow. If you’re having problems deciding on your bathroom countertop colors, call up the design team at Stone World for guidance. Quite a few of your neighbors in the Mt. Juliet, Tennessee area have turned to the Stone World team before and had exceptional bathroom countertop color choices made for them.